Profitability is the single most important reason business people start businesses. Sustainability, being the ability to maintain your business at a certain level now and into the future, is a direct result of remaining profitable. PIPS (Price and Index Pages) provides access to 200 independent market or product-specific indices, ensuring that Contract Price Adjustments is fair and equitable to both client and supplier. The SEIFSA Price and Index Pages is essential to the completion of tenders and claims for the adjustment of contract prices and price escalation claims. It covers indices for materials and services costs, statutory and actual labour costs and there are a number of sector specific indices developed for use in the metal and engineering industry. The SEIFSA Price and Index Pages is published monthly by the Economic and Commercial Services unit and is available on a subscription basis. The subscription includes automatic access to the electronic Price and Index Pages on this website. Once subscribed, a user will have 24 hour access to the latest electronic tables, history information as well as a monthly report on price movement, compiled by SEIFSA’s Economics Unit. Michael Ade joined SEIFSA on 1 August 2017 as Chief Economist. 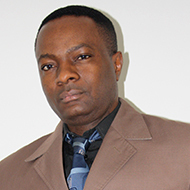 He holds a B.Com from the University of Buea in Cameroon, a B.Com Honours in General and Financial Economics and an M.Com in Economic Development and Policy Issues from the University of Johannesburg, as well as a Ph.D in Public Economics (Taxation) and International Economics from the University of the Witwatersrand. He also holds certificates in International Trade and Commodity Finance, Export Management and Econometric Analysis of Panel Data. Marique Kruger joined SEIFSA in July 2017 as an Economist within the Federation’s Economics and Commercial Division. She holds a B.Com Honours in Economics from the University of Johannesburg and she is in the final stages of completing a Master of Commerce in Economics from the same institution. 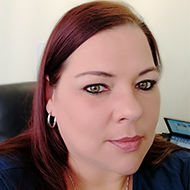 Eleen Snyman joined SEIFSA in March 2013 as an Economics and Commercial Statistics Clerk within the Federation’s Economic and Commercial Division. Eleen has more than 15 years’ experience in imports and economic related matters. 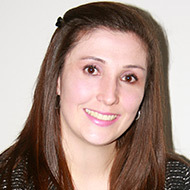 She assists in the daily compilation of the SEIFSA Price & Index Pages (PIPS) for the broader domestic economic industry. Free telephone assistance from SEIFSA’s Economics and Commercial Division on questions and queries a company may have. Any-time-access to an online portal housing up-to-date data 24 hours a day. A free monthly report on price movement compiled by SEIFSA’s Economics Devision. SEIFSA also offers dedicated consulting for specific contracts and training on the use of the Price and Index Pages, at discounted rates. Mondi uses the Price and Index Pages , and particularly the L2 index, for our quarterly review / costs benchmarks. This table , is thus used extensively when reviewing rate adjustments for our transport contractors. The L2 index, with the detailed cost components and information , like the fuel and other cost elements, gives Mondi a clear indication on how the market is responding to cost pressures. Seifsa Price and Index Pages are widely known and use in the logistics industry, due to the alignment to actual industry trends, making the data a core indicator in our operations. AfriSam use the figures to adjust contracted rates with our service providers. Contracts between AfriSam and contracted service providers are set-up with periodical rate adjustments base on the Seifsa Price and Index figures. Because the figures reflect actual industry trends, coming from a neutral party, both AfriSam and our service providers view the figures as trustworthy and willing to base future contract rates on the figures. As mentioned in the paragraph above, the Seifsa Price and Index Pages is use extensively in AfriSam Logistics as a guideline on distribution inflation and periodical rate adjustments. The reliability of the figures are also reflected in the service from Seifsa's personal; newest tables are always distributed timeously upon request. extensively utilised the indices published by SEIFSA on their PIPS Website as the basis for the escalation calculations on our various contracts. While multiple index tables are used in various applications, the table we have used most extensively is Table L2 – Road freight costs. The elements comprising the index as well as the proportions in which they are applied result in a reliable and accurate escalation basis for Transport operations, which are broadly accepted by both transport suppliers and customers. In summary, the relevance of the index tables, reliability of the monthly updates coupled with the ease of access thereto makes the SEIFSA PIPS website an integral element of our business operations.